The contribution is the latest in a long string of philanthropic efforts, most of which were done anonymously and behind the scenes. In 2015, the couple contributed a $15,000 matching grant to the Summer Conservatory. 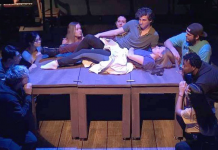 They’ve also funded scholarships for Grossmont College students and have given generously to the Polinsky Children’s Center, the Peter Pan Junior Theater, Promises2Kids, Classics4Kids, the Vista Hill Foundation and San Diego Las Hermanas, among others. Getting the Duggans to talk about their generosity, however, is about as easy as getting tickets to see “Hamilton” on Broadway. The Duggans are especially fond of donating to the theater and have been involved with youth theater since their youngest son, Aaron was cast in a Peter Pan Junior Theater production of “Oliver!” The Duggans’ daughter-in-law, Beth Duggan, is the Grossmont College Theatre Arts Department Chair. 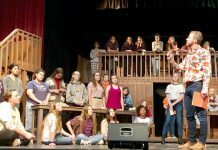 “The Duggans have been giving to youth theater for as long as I’ve known them, and I’ve known them for 35 years,” said La Mesa Mayor Mark Arapostathis, who was cast in the role of Mr. Bumble in that production of Oliver! and who now is the director of the Peter Pan Junior Theater and the C. Hook Theater, an after-school program for high school students. High school sweethearts, the Duggans never imagined in their younger days that they would be in a position to make a difference in the lives of so many others. Shortly after earning his diploma, Bob Duggan enlisted in the Navy, where he was stationed at North Island and flew as an aerial photographer for the service. Laura was a secretary on Wall Street. They married in 1966 and will celebrate their 50th anniversary Oct. 22. When he left the Navy after four years, Bob Duggan decided to stay in San Diego. “I couldn’t afford to go back to New York if I tried,” he said. With Laura working at a temporary services agency, Bob began a long and successful career buying and selling real estate. He started off with North Park homes that could be purchased for $12,000 and virtually no money down, then moved up to duplexes, fourplexes and apartments. Laura handled the property portfolio and apartment management. In 1977, Bob founded Marc-Aaron Corp., named after his two sons. He also served on the La Mesa Planning Commission from 1994-2009, is a past board member for the Polinsky Children’s Center and Child Abuse Prevention Foundation, and was also Finance Chairman for Prop D, a La Mesa bond measure for new fire and police stations. He then served as co-chair of its oversight committee responsible for $27.9 million in bond proceeds. 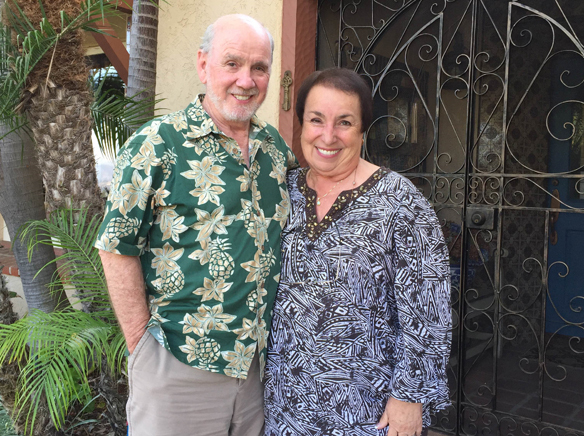 The couple has lived in their home overlooking downtown La Mesa for more than 40 years and has been donating to various causes since before then. 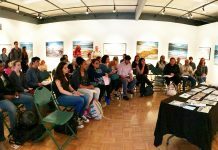 “Bob and Laura Duggan’s generosity and selflessness have benefitted so many people, and Grossmont College and our students are so grateful for their latest gift on behalf of our theatre arts program,” said Grossmont College President Dr. Nabil Abu-Ghazaleh.